SHORT TERM LEASE ONLY. 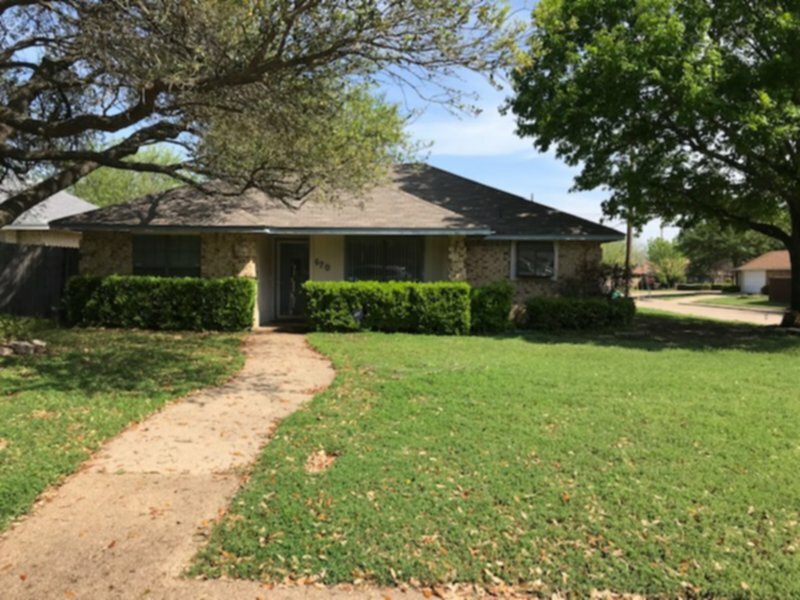 Nice, single story home in Cedar Hill. New inside paint, new plank flooring in living areas and new carpet in bedrooms. The spacious den comes with a fireplace. There is an office toward the front of the home. Gas and electric. Yard is fenced, corner lot and has a storage shed and covered patio. Month to month okay or 3 month lease but not year. No smoking, no housing vouchers. TAR app. $45 can be paid using credit card. Income needs to be 3.5x monthly rent, good rental and no bad in last 5 years. Getting fence repaired.